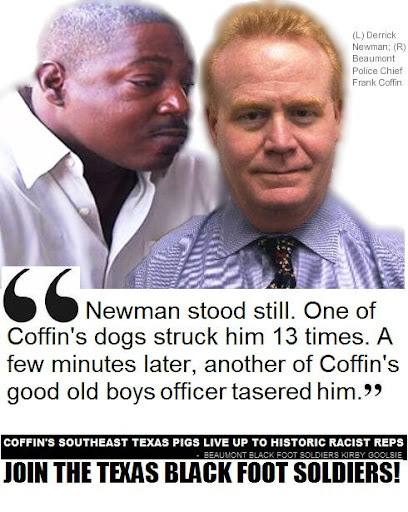 A default judgment was entered after all five Beaumont F.A.K.E cops named in Derrick Newman’s lawsuit failed to appear in court personally or by legal representative. But, it was overturned after Assistant City Attorney Quentin Price wrote Floyd an appeal that indicated the city was unaware of the hearing. Floyd found the city had a valid argument and granted a motion for a new trial. As of Monday, no date had been set, Maness did see the videotape from the Aug. 24, 2007 traffic stop and resulting arrest. 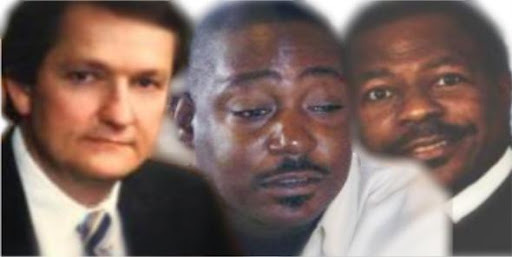 Jefferson County District Attorney Tom Maness has launched an inquiry into the alleged beating by Beaumont police officers of a Beaumont man who had been awarded a default judgment against the officers involved. Controversial Beaumont Black Foot Soldier Kirby Goolsie condemned Mills’ comments and, on behalf of the Soldiers, is demanding the city remove Mills from his position. 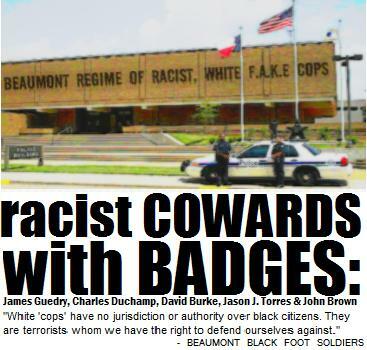 “Beaumont Pigs: James Guedry, Charles Duchamp III, David Burke, Jason J. Torres & John Brown Live Up To Racist Reps.
Assistant City Attorney Joseph Sanders said a decision never had been made as to whether the city would represent the officers, and the city was not named in the original lawsuit. Still, the city tried to resolve the matter by offering the 37-year-old Newman a $10,000 settlement, which he refused, attorney Langston Adams said.